Ok< I did something wrong and once I uploaded those pictures, I was unable to comment. 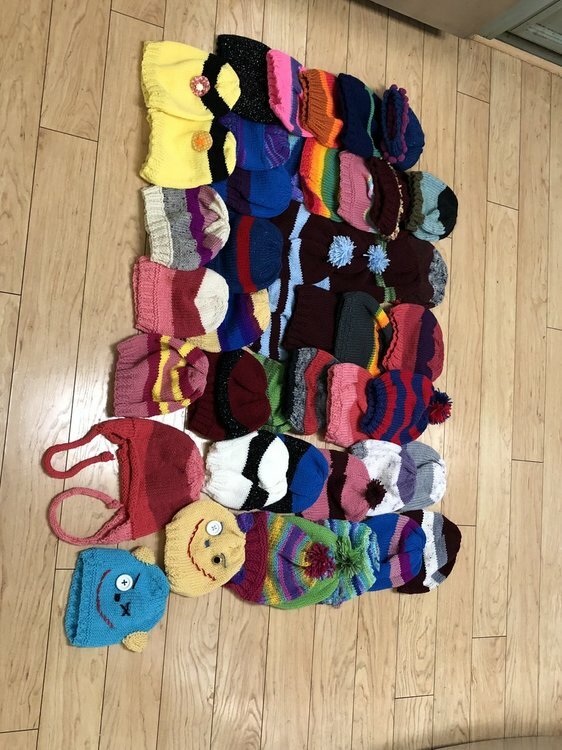 The 2 circular afghans are from Cindy, The picture of the other 2 are from my friend, 23 afghans came out of a clown car that was sent to me by Pam, my daughter made 12 afghans, 1 scarf and 1 hat, and so far this year I've gotten 29 blankets done. Delivery date is not until after Thanksgiving (don't have the date yet that I will be going down) so there is still time to send me something if you'd like to donate. Love seeing all the new blankets you have received. Thanks for sharing the pictures. I have heard back from the hospital and will be taking our donation tomorrow afternoon. Thank you all for your generous donation of your time and talent! 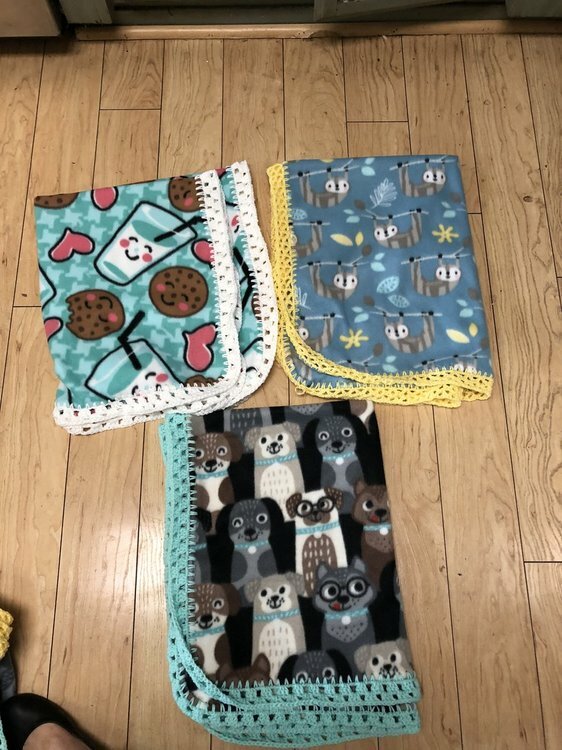 These three blankets represent six that I did recently. Two in each pattern.